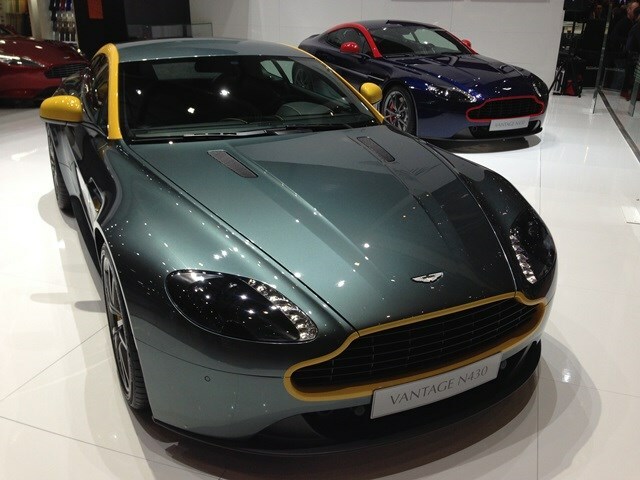 The Aston Martin stand was awash with special edition models. At the forefront was a racing-inspired Vantage called the N430, which features special graphics packs and body styling tweaks to mirror the firm’s successful competition cars. Inside there’s a pair of lightweight sports seats which can be trimmed in a number of types of leather. It’s powered by the 4.7-litre V8 found in Vantage and Vantage S models, with power pinned at 430bhp and 490Nm of torque. This is mated to either a six-speed manual gearbox or a seven-speed automatic with paddles behind the steering wheel. It’ll cover 0-62mph in 4.8 seconds and we’re absolutely sure it’ll sound fantastic while doing so. The British sports car firm also took the wraps off a pair of DB9 special editions. Called the Carbon Black and Carbon White editions, it’s a simple case of their styling being based on either shade. There isn’t much more to it than that, but they do still look fantastic.